Media coverage of and political reactions to Donald Trump’s announcement of a summit meeting with North Korean leader Kim Jong Un have been based on the assumption that it cannot succeed, because Kim will reject the idea of denuclearization. But the full report by South Korean President Moon Jae-in’s national security adviser on the meeting with Kim last week—covered by South Korea’s Yonhap news agency but not covered in U.S. news media—makes it clear that Kim will present Trump with a plan for complete denuclearization linked to the normalization of relations between the U.S. and North Korea, or the Democratic People’s Republic of Korea (DPRK). But Kahl’s dismissal of the possibility of any agreement at the summit assumes, without saying so, a continuation of the steadfast refusal of the Bush and Obama administrations for the United States to offer any incentive to North Korean in the form of a new peace treaty with North Korea and full normalization of diplomatic and economic relations. That pattern of U.S. policy is one side of the still-unknown story of the politics of the North Korean issue. The other side of the story is North Korea’s effort to use its nuclear and missile assets as bargaining chips get the United States to strike a deal that would change the U.S. stance of enmity toward North Korea. The Cold War background of the issue is that DPRK had demanded that the United States military command in South Korea stop its annual “Team Spirit” exercises with South Korean forces, which began in 1976 and involved nuclear-capable U.S. planes. 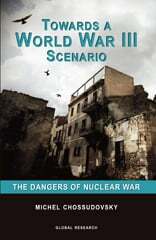 The Americans knew those exercises scared the North Koreans because, as Leon V. Sigal recalled in his authoritative account of U.S.-North Korean nuclear negotiations, “Disarming Strangers,” the United States had made explicit nuclear threats against the DPRK on seven occasions. Furthermore, the North had been unable to invest in replacing its military technology, so had to make do with antiquated tanks, air defense systems and aircraft from the 1950s and 1960s, while South Korea had continued to receive the latest technology from the United States. And after serious economic crisis gripped the North, a large proportion of its ground forces had to be diverted to economic production tasks, including harvesting, construction and mining. Those realities made it increasingly clear to military analysts that the Korean People’s Army (KPA) no longer even had the capability to carry out an operation in South Korea for longer than a few weeks. Finally, the Kim regime now found itself in the uncomfortable situation of being far more dependent on China for economic assistance than ever before. Faced with this powerful combination of threatening developments, DPRK founder Kim Il-Sung embarked immediately after the Cold War on a radically new security strategy: to use North Korea’s incipient nuclear and missile programs to draw the United States into a broader agreement that would establish a normal diplomatic relationship. The first move in that long strategic game came in January 1992, when the ruling Korean Workers’ Party Secretary Kim Young Sun revealed a startling new DPRK posture toward the United States in meetings with Undersecretary of State Arnold Kanter in New York. Sun told Kanter that Kim Il Sung wanted to establish cooperative relations with Washington and was prepared to accept a long-term U.S. military presence on the Korean Peninsula as a hedge against Chinese or Russian influence. In 1994, the DPRK negotiated the agreed framework with the Clinton administration, committing to the dismantling of its plutonium reactor in return for much more proliferation-proof light water reactors and a U.S commitment to normalize political and economic relations with Pyongyang. But neither of those commitments was to be achieved immediately, and the U.S. news media and Congress were for the most part hostile to the central trade-off in the agreement. When the North Korea’s social and economic situation deteriorated even more seriously in the second half of the 1990s after being hit by serious floods and famine, the CIA issued reports suggesting the imminent collapse of the regime. So Clinton administration officials believed there was no need to move toward normalization of relations. After Kim Il Sung’s death in mid-1994, however, his son Kim Jong Il pushed his father’s strategy even more energetically. He carried out the DPRK’s first long-range missile test in 1998 to jolt the Clinton administration into diplomatic action on a follow-up agreement to the agreed framework. But then he made a series of dramatic diplomatic moves, beginning with the negotiation of a moratorium on long-range missile tests with the U.S. in 1998 and continuing with the dispatch of a personal envoy, Marshall Jo Myong Rok, to Washington to meet Bill Clinton himself in October 2000. 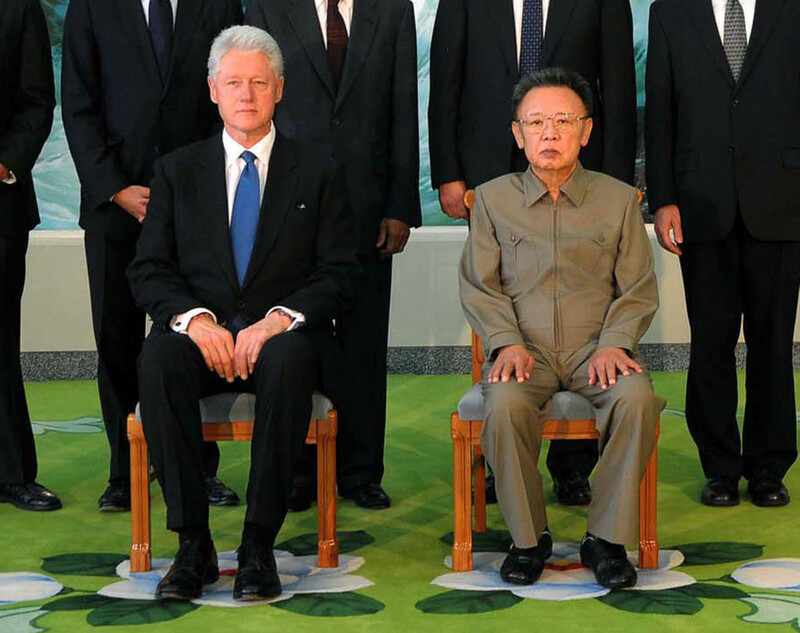 Clinton quickly dispatched a delegation led by Secretary of State Madeleine Albright to Pyongyang, where Kim Jong Il provided detailed answers to U.S. questions on a missile accord. He also informed Albright that the DPRK had changed its view about the U.S. military presence in South Korea, and that it now believed that the U.S. played a “stabilizing role” on the peninsula. He suggested that some within the North Korean army had expressed opposition to that view, and that would be resolved only if the U.S. and DPRK normalized their relations. U.S. political and security elites have long accepted the idea that Washington has only two choices: either acceptance of a nuclear-armed North Korea or “maximum pressure” at the risk of war. But as the South Koreans have now been able to confirm, that view is dead wrong. Kim Jong Un is still committed to the original vision of a deal with the Americans for denuclearization that his father had tried to realize before this death in 2011. The real question is whether the Trump administration and the broader U.S. political system are capable of taking advantage of that opportunity.